Word has reached us with the passing of retired Northwest Airlines pilot Dale Roger Liesch, age 75. Services are planned for Monday, March 12th at Prince of Peace Lutheran Church, located at 13901 Fairview Dr., Burnsville MN. Interment at Fort Snelling National Cemetery on Tuesday, March 13th....please see obituary information below. From: RNPA News Sent: Wednesday, March 07, 2018 10:06 AMSubject: RNPA News: Dale Liesch Has Flown West. Dale Roger Liesch was born May 16th, 1942, in Wausau, WI (a native Cheesehead!) to Ehardt and Leona Liesch. He grew up in the small town of Wittenberg, WI, and graduated from Wittenberg High School in 1960. Growing up, Dale was a 3-sport athlete, enjoying football, baseball and basketball. In 1965, he graduated from St. Olaf College in Northfield, MN, with a Bachelor’s Degree in Physical Education. He continued his passion for sports throughout college competing in football and baseball, and was selected as Honor Athlete in 1964. Dale completed his AFROTC at St. Olaf College and entered the USAF after graduation. In 1965, Dale married his high school sweetheart, the former Sharon Hartleben, from Wittenberg, WI. He completed USAF Pilot Training at Reese AFB in Lubbock, TX. In 1967, Dale was called to serve his country during the Vietnam War. He flew 100 missions in the F-4C over North Vietnam, and 33 missions over South Vietnam. Dale and Sharon then headed to Vance AFB in Enid, OK, where he was an Instructor Pilot in the T-37. This is also where they began their family...Marne was born in 1968 and David in 1970. 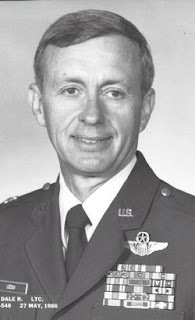 In 1972, the Liesch family moved to the USAF Academy in Colorado Springs, CO, where Dale taught Physical Education and instructed Cadets in the T-41. In 1976, he graduated from the University of Denver with a Master’s Degree in Physical Education. They completed their family when Katie was born in 1976. The Liesch family spent the next 4 years at Reese AFB in Lubbock, TX, where Dale was an Instructor Pilot in the T-38. In 1980, Dale, Sharon, and the kids were stationed at Kl Sawyer AFB in Upper Michigan. Dale was a KC-135 Pilot and later became Commander of the 46th Air Refueling Squadron. In 1988, he retired as a Lieutenant Colonel from the USAF after 23 years. His next adventure included working for Northwest Airlines as an Aircrew Training Manager in the 747-200 Program in Eagan, MN. Dale was then selected to fly for Northwest Airlines as a 727 pilot through the internal hiring program and flew until his retirement in 2002. In November of 2000, Dale was diagnosed with Acute Myelogenous Leukemia (AML) and in April of 2003 he received a Stem-cell Transplant...a gift of life from his sister, Marilyn. During a Bible-study group at church in 2004, a woman caught Dale’s eye and the rest is history. Marilyn Kressin and Dale were married in June of 2005 at Prince of Peace Lutheran Church in Burnsville. They enjoyed traveling, volunteering, going to the movies, and watching their beloved Green Bay Packers. 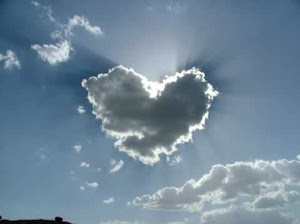 But most of all, their life together was all about the 3 F’s...Faith, Family & Friends. Dale is preceded in death by his parents, first wife (Sharon), and step-grandson (Donavon). He is survived by his wife, Marilyn; children: Marne (Greg) Martin, David (Sara) Liesch and Katie (Matt) Ebbighausen, step-daughters: Tonya (Rick) Caughey, Gina (Michael) Hacker, and Heidi Brunkow. Dale is also survived by his many grandchildren: Ashley, Abby, Jesse, Sadie, Sterling, Demi-Lynn, Grace, Tyler, Hanna, Eve, Zach, Hunter, Jackson, Alyssa, Aric, Anna, Ren, Benjamin, Wilson, Hannah and great-grandson, Jaxon. Siblings are Donald (Noy) Liesch, and Marilyn (Bob) Stankowski. Funeral Service will be held at 4PM on Monday, March 12th, 2018, at Prince of Peace Lutheran Church, 13901 Fairview Dr. Burnsville, with a Visitation starting at 2PM prior to service at the church. Interment at Fort Snelling National Cemetery on Tuesday, March 13th, 2018, at 1:45pm. In lieu of flowers, memorials will be donated to Prince of Peace Mission OutPost or Blood and Marrow Transplant Program, C/O Fairview Foundation, Development Office, 2450 Riverside Ave., Mpls, MN 55454 (Checks to BMT Program). .....Would you please send this notification of the passing of our friend Dale Liesch. I worked with Dale in the NWA training department from 1988-1994. Dale was hired as a pilot at that time and flew on the 727 until 2002.